Rob Cesternino and Akiva Wienerkur are no scofflaws, as they continue to bring a new Seinfeld recap each and every week. 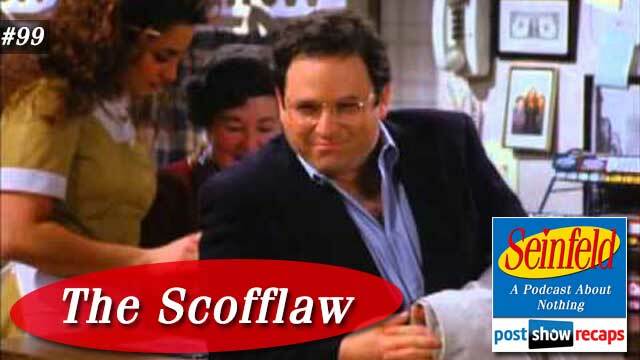 This week they break down “The Scofflaw”, which first aired January 26, 1995 as part of season six. The episode was written by friend of the podcast Peter Mehlman. 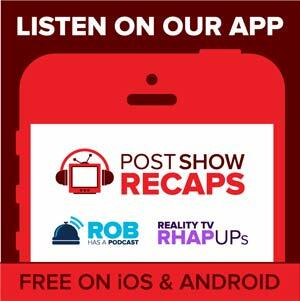 News – Rob wanted to remind the listeners not to dilly dally, and send in voicemails for next week’s podcast by visiting postshowrecaps.com/voicemail for their own 100th episode retrospective. Akiva had a bit of other news to share. Jon Lovitz, who played Gary in this episode, recently posted on social media how he was dating a much younger woman, but it turned out to be an April fools joke. Lastly, Rob shared how Garry Shandling, a good friend of Jerry’s, passed away last week. Jerry’s story – Jerry has very little to do with this episode. George shares how their old friend Gary had cancer, but Jerry had already known, and didn’t share with George because he has no poker face. When George proves he has no poker face with the Gary not having cancer secret, Jerry agrees to not tell Gary he knows until George can get the parking space Gary promised him. When Gary rescinds the spot, George gives Jerry permission to let Gary have it about lying about the cancer. George’s story – George bumps into an old college friend of his and Jerry named Gary. Gary lets George know he hasn’t been around because he’s been battling cancer, but offers George a great deal on a covered parking spot, so George forgives him. George immediately tells Jerry about Gary, but he’d already known. Later on, Gary shares to George that he actually did not have cancer, but he has to keep it a secret. The next time he sees Jerry, Jerry immediately notices George’s poker face, getting him to spill the secret. George also is intrigued by the toupee that Jerry paid for Gary to get, thinking he might want to get fitted for one himself, since Gary was now showing so much confidence. While getting fitted, Jerry is there, mocking him mercilessly, thinking he looks ridiculous, but George decides to give it a try anyway. When an attractive woman at Monk’s sees him, she looks interested, adding to his confidence. Elaine’s story – Elaine takes exception to Kramer telling old boyfriend Jake Jarmel that she said hi, not wanting to relinquish the upper hand in the post relationship. She goes down to the book signing just to explain she did not say hi, which Jake takes as a bigger sign that she hasn’t let go. Still angry about this, she notices a man wearing glasses like Jake’s, so she quickly asks to buy them, just so she can rub it in Jake’s face, since he didn’t want to share where he got them with Kramer. After rubbing it in to Jake, she bumps into Mr. Lippman, and decides to give him the glasses when admired them, in an effort to keep in Lippman’s mind for a possible job. Jake would later notice Lippman with the glasses, and starts a fight to wrestle the glasses away, ending any chance for Elaine to land a job from Lippman. Kramer’s story – Kramer accidentally calls a police officer a pig when yelling it at a driver throwing garbage out their window. He is also in search of a new look, and when visiting Jake Jarmel at a book signing, takes a liking to his glasses, but Jake won’t share where he got them. Later on he explains to the cop why he yelled pig, noticing the cop’s eye patch, which works for Kramer’s search for a new look. The cop explains to Kramer that he caused him to miss out busting the “white whale” of parking tickets, who he has been chasing for over 15 years. Later on, Kramer discovers the white whale was Newman, who he forces to turn himself in, ultimately causing George to lose out on the parking space from Gary. Rob and Akiva tangents – Akiva noted at the top of the podcast that there were some recurring characters to reappear, like Mr. Lippman and Jake Jarmel. Rob was thinking the podcast could use an NYPD correspondent to help with the legal questions that crop up from time to time. Akiva wondered as he closes in on 100 podcasts with Rob who else was in the 100 club. While Stephen and Tyson aren’t quite there yet, Josh Wiggler and Nicole would be the only two to welcome Akiva in. Rob mentioned in the emails how he was disappointed to not get an invite to Aras’ wedding, though with it being a destination wedding, he wouldn’t be able to go anyway. What wouldn’t work in 2016 – Most of the episode would work just fine today, but Akiva did notice a few anomalies. Jake Jarmel’s glasses would be easy for Elaine to find on the internet, Gary wouldn’t really get away with lying about cancer unless he deleted all social media accounts, and parking tickets would be a lot more expensive. Grades and Ranking – Akiva thought Jerry’s story was very thin, but instead of calling it an incomplete, he gave him a D-. Rob was a bit nicer, giving Jerry a C. Akiva enjoyed George’s story the most out of the four, giving him an A-. Rob went a little lower here, thinking a B, maybe a B+. Both agreed Elaine’s story was not great, with Akiva giving a C, and Rob thinking a C-. Lastly, Akiva thought Kramer was deserving of a C, but Rob was less impressed, especially not liking the episode name, giving Kramer a D. Akiva would be surprised if this was someone’s favorite episode, finding it more like a season 3 episode with it’s messiness, so he ranked it at 130. Emails – Eric the mailman has answered the bell to be the new Postal Service correspondent. He answered Akiva’s question about whether a postal worker can hop a flight anywhere their planes go for free. He sadly informed him that this cannot happen, as much of the air mail is handed over to FedEx. Lindsay wrote in with a weird wedding party story about how she was invited to a bachelorette party, but not the wedding. Jessica emailed a wacky wedding story as well, sharing how she was invited to be in the wedding party, and she considered this person someone she probably wouldn’t invite to her own wedding. Johnny De Silveira wondered why Officer Morgan didn’t look up the white whale’s license plate to track him down. He also pointed out how George talked sarcastically about pretending to need a wheel chair, when he will in fact do that later in the series. Craig noted that the man playing Officer Morgan was played by Ivory Ocean, ironic since he was chasing the white whale. Finally Chester wondered how Elaine could spot the glasses of a man walking down the street from her cab. He also wondered why Jerry would oppose George’s toupee when he was getting good looks from the lady at Monk’s. Rob agreed with Chester’s point that Jerry could just be an anti “Baldite”. Tune in next week as the guys will recap “The Highlights of a Hundred”. Send in your questions by emailing[email protected]. Don’t forget to subscribe to the podcast by going to postshowrecaps.com/seinfeldITunes where you can rate and review the podcast. You can get a discussion going about the podcast by leaving a comment on the show page, and as always, you can follow them on Twitter @robcesternino and @keev26.